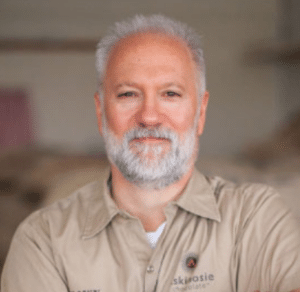 In this episode of CauseTalk Radio, Megan and Joe talk to Shawn Askinosie, Founder & CEO of Askinosie Chocolate and author of the new book, Meaningful Work: A Quest to Do Great Business, Find Your Calling, and Feed Your Soul. Another concept in your book is ‘reverse scale’ – tell us what that is and why it’s important to your personal approach to your business. Sponsor: This week’s show is brought to you by Audible! Get a free audiobook to spice up your commute and get. Sign up for your free book at AudibleTrial.com/causetalkradio. You can even use your free book credit to download Shawn’s book today — just search for Meaningful Work: A Quest to Do Great Business, Find Your Calling, and Feed Your Soul after you set up your 30-day trial account!